For over three decades, Caparro Awning Company has been installing the finest custom-made awnings in the area. We have helped our customers keep their indoor living spaces cool by blocking harmful UV rays, helping to prevent damage to interiors, and save in energy costs. An awning or patio cover can also extend the use of your outdoor living space. 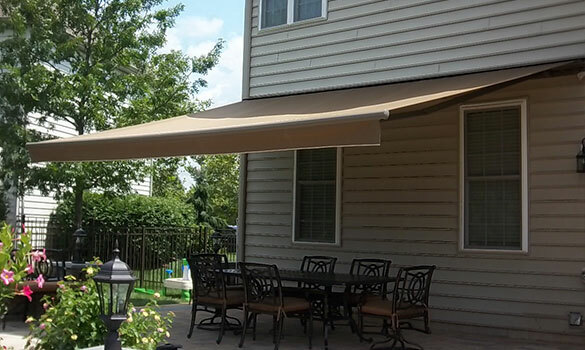 Whether you are looking to cover a walkway for your business or to protect your home from the sun, Caparro Awning Company has the right solution for you! Beautiful & Custom-Made For You! Count on Caparro Awning Company for awning repair and cleaning services, as well as seasonal set-up and take-down. 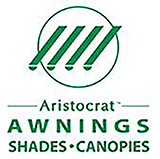 Caparro Awning Company proudly features Sunbrella and Sattler fabric patterns and is an authorized dealer for Aristocrat Awnings.